Glasgow Central to Largs. 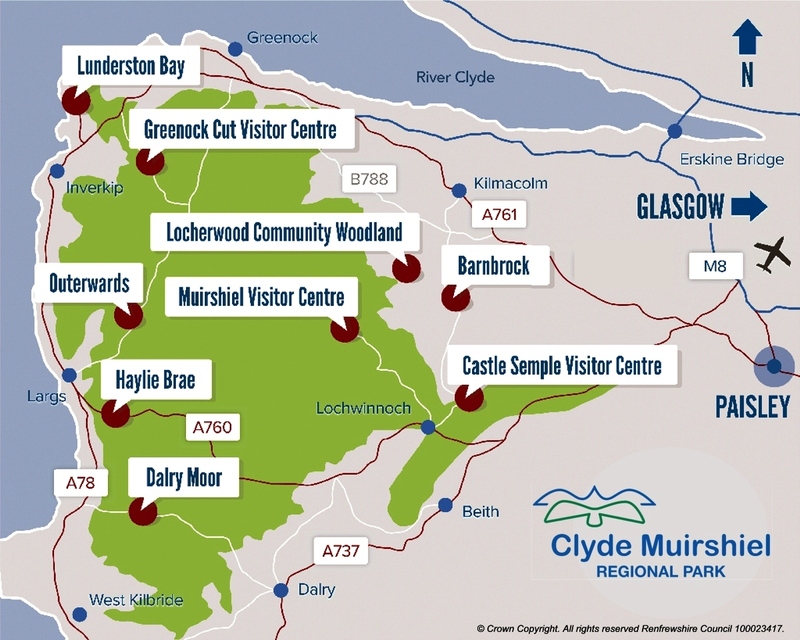 The station is 3km from the site, from the station walk along the coast towards the Pencil Monument, turning right up May Street and go up through Douglas Park. 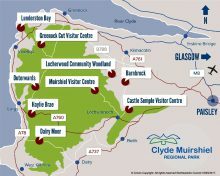 Click here (http://www.ayrshirepaths.org.uk/walklargs.htm) for route information. On A760 Lochwinoch to Largs road, 2.5 km from junction with A78 in Largs.